Nouryon has taken a step forward in the bioeconomy. The Dutch company (formerly AkzoNobel Specialty Chemicals) has expanded its offering for the asphalt market with Wetfix G400, a versatile non-amine adhesion promoter derived from renewable resources. Wetfix G400 meets customers’ needs for a more sustainable alternative that maintains asphalt mixture performance and durability. Pöyry Finland Ltd has completed a survey on socio-economic impacts of KaiCell Fibers’ biorefinery in Finland. According to the survey, the impact on the total output of Finland is close to one billion euros and over 700 million euros in the Kainuu province alone. 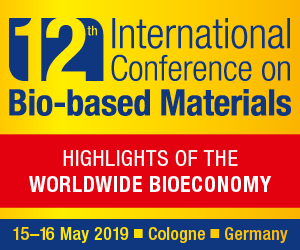 German materials manufacturer Covestro and California-based biotechnology company Genomatica joined forces to research and develop high-performance materials based on renewable feedstocks. With their collaboration announced on March 27, both partners are aiming to reduce the use of fossil-based resources such as crude oil. These are today still the most common carbon and raw material sources of the chemical and plastics industries. Using carbon from plants instead would help reduce CO2 emissions and close the carbon loop in another move towards a circular economy. Nouryon expanded its offering to customers in the personal care market with a bio-based polymer, Amaze SP, helping formulators to meet the latest consumer trends in hair styling. The new polymer is a result of formerly AkzoNobel Specialty Chemicals’ exclusive global supply agreement with Itaconix to market bio-based polymers to customers in the personal care market. Climate change, population growth, soil degradation, biodiversity loss. These are the main challenges that humanity is called to face at the beginning of the millennium. The bioeconomy is one of the keys to tackling them and overcoming them, reconciling the economy, the environment and society. Based on the use of renewable biological resources as raw materials for industrial, energy, food and feed production, according to the European Union it has the potential to create at least one million jobs by 2030. The book that I wrote together with Irene Baños Ruiz aims at drawing a precise and up-to-date picture of the concept of bioeconomy, its origins, connections with sustainability and the circular economy and the multiple applications that we find in different products of our daily life. 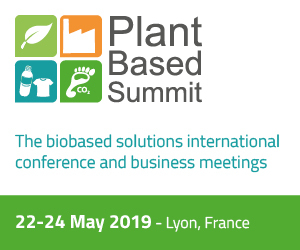 I would like to thank particularly Philippe Mengal, executive director at BBI JU, and Marc Palahì, director at the European Forest Institute, who have written in a truly passionate way the foreword and the introduction of the book. Now “Che cosa è la bioeconomia” (What is the bioeconomy) is available only in Italian, soon also in English. 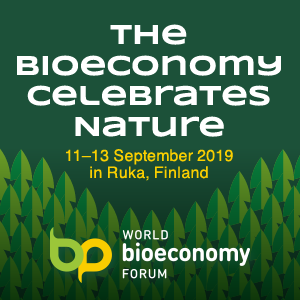 I would also like to thank all those who have accepted to be interviewed (Fabio Fava, Chris Patermann, Catia Bastioli, Massimo Centemero, Sandy Marshall, Mathieu Flamini, Jennifer Holmgren, Michael Carus and Frank Rijsberman) and in general all those who are making the sustainable and circular bioeconomy possible worldwide. Today is the International Day of Forests, which promotes education to learn to love forests. Europe – as a global leader on climate action – is working to make forests a priority for the bio-economy and water policies. Over 50 cities from six continents are coalescing around a new initiative called Cities4Forests that connects citizens and decision-makers with inner, nearby and faraway forests around the world to help end deforestation and advocate for a stronger role of forests and nature.